The safe was said to weigh about 1 ton. (1) Where that safe is today is not certain by the author. But could quite possibly be preserved in a museum or at the town office. The search continues. 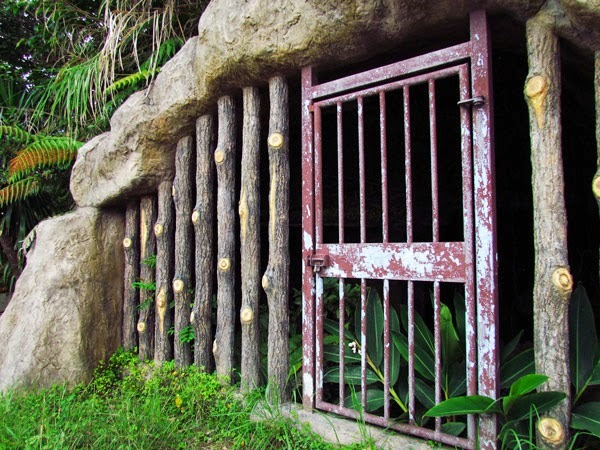 The shelter entrance has gone through some cosmetic changes due to damages that occurred decades after the war and is barred from entry. A building contractor around 1980, was working near this area where damage was inadvertently done to the shelter. 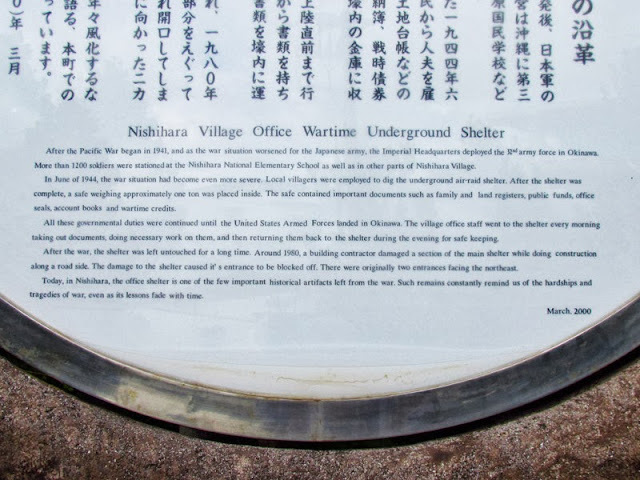 (1) Man-made shelters like the one in Nishihara are not uncommon to see on Okinawa. 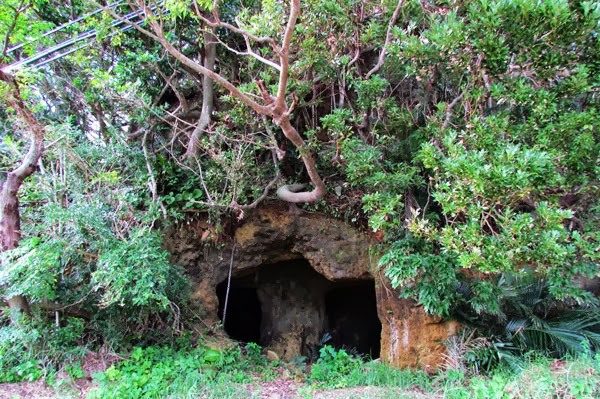 This one pictured here is on the Motobu Peninsula. Its history is not really clear at the moment. Directions. The shelter is in Nishihara Town. Take Highway 329 south into Nishihara and then take Highway 38 (right before the big San-A Shopping Center). You will pass as Lawson convenience store (left-hand side). You will then pass a Family Mart convenience store (also left-hand side). The next traffic light make a left. About 300 meters you will see the underground shelter on the right. 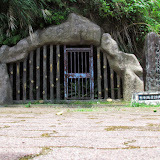 "The Matsuda Caves & the Mēgā Gama Ruins"